I went to a tasting of the Long Ireland Beer Company. These are very straightforward, no-nonsense brews, but perhaps a bit TOO straightforward. The brewer presenting them was gruff and no-nonsense with no patience for silly names. He thinks that if you brew a pale ale, you should call it “Pale Ale.” He led off with their Celtic Ale, a slightly red-tinged ale with a simple presentation running closer to “beer” than to “ale” with even–to my taste–a hint of lager; well, it wasn’t to my taste. He followed with their Pale Ale, which is just that, direct and not very complex, perfectly drinkable but with nothing very special about it. 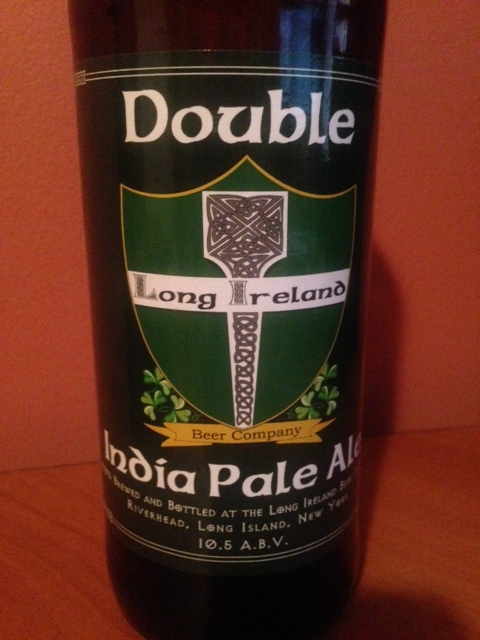 The third item was their Double India Pale Ale. This was pretty good, enough so that I bought a bomber, and it was a satisfactory IPA with good body and a nice trailing hop bite. I would try it again but I wouldn’t particularly seek it out. To wrap up he poured their Breakfast Stout, a slightly sweet, fairly thin stout with a hint of coffee. This is a new style to me, but so far I prefer a heavier, creamier stout. To try to be fair to Long Ireland, the Growler and Gill was incredibly noisy that night, making it very hard to hear whatever he said about his brews, and hard to thoughtfully savor what he had to pour. To also be fair, they describe their beers as “full flavored” and they are exactly that; I think these beers are exactly what they set out to produce. There are no wallflowers here. However, I think perhaps that they could use a little more nonsense and a little more fun to go with their solid brewing. Silly names don’t compensate for poor brewing, but I have to say that some of the best brews have silly names. Maredsous Abbaye Abdij Tripel — No, it’s not a silly name. I expect a lot from a Benedictine Tripel, and this delivers: rich yeasty malt, full-bodied, and a nice nose with hints of spice. I had it up against snacks which included a habanero jack cheese, so some of the subtleties got lost! It stood up well and I’ll have to try it again soon. 10% ABV, so it carries a kick.